Tired of digging through loads of stuff in your heavy, messy bag? 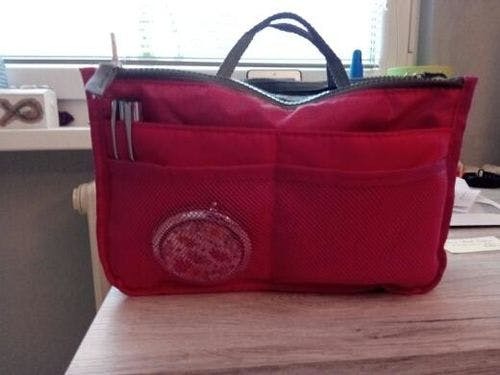 The Bag Organizer is a durable insert that will help you keep your purse clean and clear. Fill the 13 compartments with all of your needs and save yourself some time and energy. Great for traveling, this bag features pockets for everything including your; keys, cosmetics, and more. 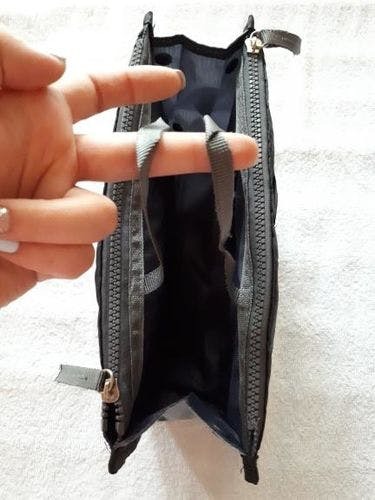 PREMIUM QUALITY MATERIAL: Our handbag organizer for women is made out of superior,highly durable polyester, and our organizer travel bag is bound to outlast any average fold-able competitor available on the market. 13 COMPARTMENTS: This handy travel bag features 13 compartments space for you toeasily store anything you need during your travels. MADE FOR TRAVELING: With Super Organizer Bag you can enjoy keeping everything organized, and never worry about losing anything ever again. Store your electronics, makeup/ cosmetic supplies, keys, credit cards, wallets, purses, phones and anything you need to carry with you. Our handbag is ideal for your vacation, your weekend getaways, beach trips, picnic/ camping trips or any traveling you do as you save up much needed space and enjoy peace of mind. Easily transports your essentials to any handbag or tote. 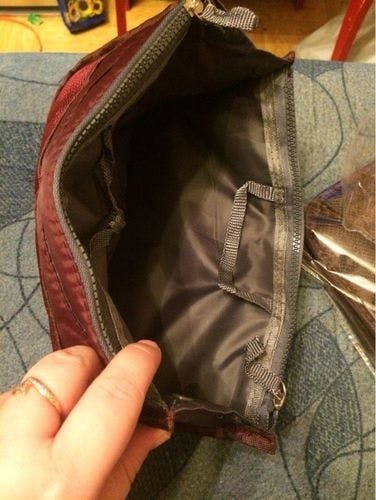 Can be folded up neatly for easy storage. Turns ugly mess into organized success. I am very impressed with the quality of this bag. I am very impressed with the quality of this bag. Ironically, I don't wear makeup. I used it to store the 20 medications I take every day. Love this bag! Very organized and easy to take on trips. I like having my makeup available are ready to go anywhere with me. Worth the purchase! I received this makeup case over the weekend and it came packaged nicely, no damage. I received this makeup case over the weekend and it came packaged nicely, no damage. I have been looking forward to a case like this for a long time and I am so excited and thrilled with this! My stepdaughter love this case. My stepdaughter love this case. When I can make my wife or step daughter happy...all is well in a happy house. 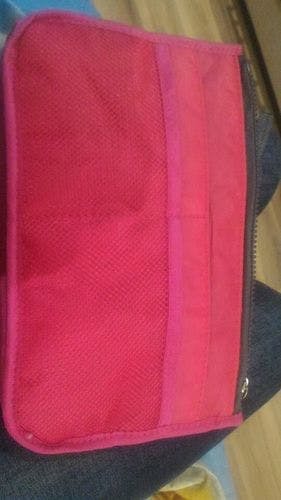 The makeup bag was perfect for her travel in the band and compact.